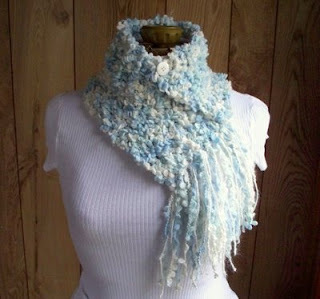 I LOVE this wispy clouds crochet fringe scarf! It wold be perfect for Florida winters when it's not cold enough for coats, but you still need something to take the chill off. 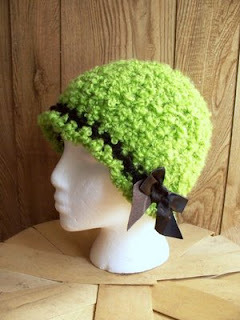 Or how about this great apple green cloche?! It would add a perfect punch to a black trench! Stop by Lazy T Crochet and check out all the beautiful crocheted accessories!